Atallah Hanna, the Archbishop of Sebastia from the Greek Orthodox Patriarchate of Jerusalem has visited Damascus today. During his visit, he met with the Syrian President Bashar al-Assad, stressing that President Assad assured himself as an important figure of protecting the Christians, not just in Syria, but elsewhere in the Middle East too, noting that he does not consider Christians just as a “minority”, but rather an important and integral part of the Syrian society. He noted that during the past few years Christians have suffered a lot, but thanks to President Assad there is hope now, as was also seen in Maaloula where wounds are slowly healing. Bishop Hanna also said that he received negative reactions from both, the Palestinians and the Israelis because of his meeting with Assad and his supportive position on Syria, and as regards Israel, also for his role in the case of Al Aqsa mosque, saying that all this may cause his arrest or deportation, adding that none of this will deter him from his positions on Palestine and the Arab world issues, noting that conspirators against Syria are conspirators against Palestine as well. 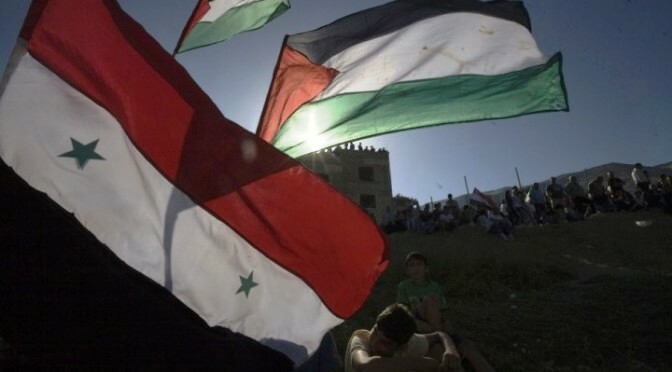 He then said that the majority of in fact Palestinians support his visit to Syria, and most of them are aware of the seriousness of the conspiracy against Damascus. 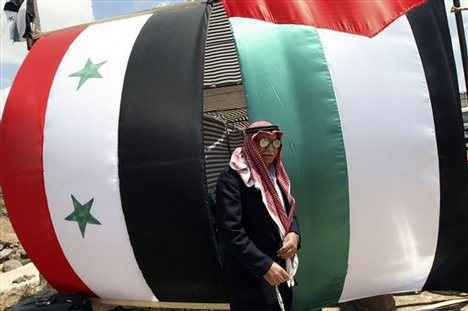 Some, however, objected to his presence inside the Al Aqsa mosque because of his position on Syria. He pointed out one cannot talk about Palestine without talking about Muslims and Christians together, stressing that unity of the Palestinian people is the most important step to achieve freedom. Regarding Jerusalem, Hanna said Jerusalem’s native inhabitants are treated badly, as if they were strangers to the city, noting there are constant attempts being made to falsify the history of Jerusalem. [ Ed. 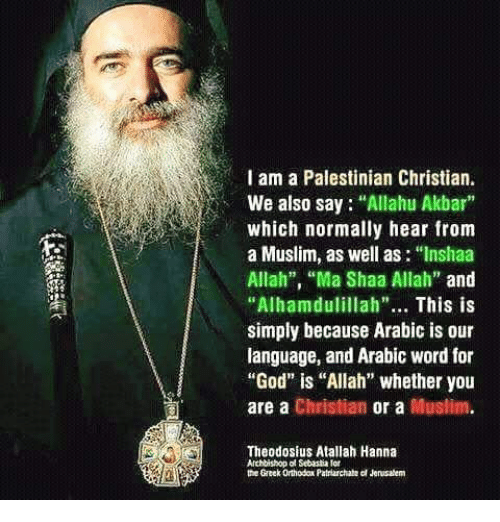 note The gentleman in the photo above is Atallah Hanna, a Palestinian Christian who holds the position of archbishop of the Greek Orthodox Church of Jerusalem. The article below, published yesterday by Ma’an News, reports that Hanna will be boycotting an upcoming conference in the US on the plight of Middle East Christians. Hanna declined to specify which conference he was referring to, most likely out of a desire not to give them any free publicity. However it could be this conference, scheduled to take place April 20 at the National Press Club in Washington. One of the sponsors of the event is a dubious group calling itself “In Defense of Christians,” an organization that advocates for the establishment of “safe zones” in Syria. Were such zones to come about, the result would be a de facto partitioning of the country and the weakening–and quite possibly the downfall–of the Syrian government. The downfall of the Assad government, needless to say, would be a disaster for Syria’s Christian population. JERUSALEM (Ma’an) — Sabastiya Archbishop Atallah Hanna, of the Greek Orthodox Patriarchate of Jerusalem, said he would boycott an upcoming conference in the United States aiming to discuss the situation of Christians in the Middle East, over what he called “misguided” American policies in the region. Hanna, the only Orthodox Palestinian archbishop, who is renowned for his high profile political activism against the Israeli occupation, said in a statement Saturday that he and a number of Christian leaders from the region were invited to the conference, scheduled to be held in mid-May. The Palestinian archbishop explained that he called for the boycott in protest of the US’s “misguided” policies in the Middle East, particularly those related to the question of Palestine. IMEMC : Israeli soldiers kidnapped, Saturday, Archbishop of Sebastia of the Greek Orthodox Church of occupied Jerusalem, Theodosius Attallah Hanna, and held him for several hours in the Etzion military and security base, north of Hebron, in the southern part of the occupied West Bank. 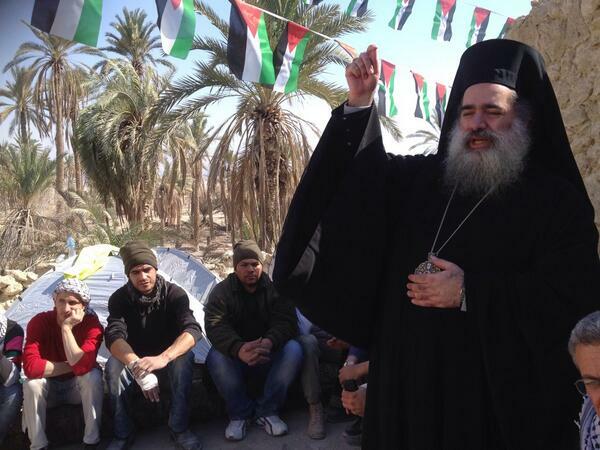 Father Hanna was participating in a nonviolent protest against the illegal takeover of Beit Al-Bakara old Church, north of Hebron. Coordinator of the National Committee against the Wall and Settlements, Hasan Breijiyya, said the soldiers attacked the nonviolent protesters against the illegal Israeli seizure, and the subsequent sale of the Beit al-Baraka hospital, part of the al-Bakara church. He added that the peaceful protest against this illegal seizure of the Beit al-Baraka comes to expose the illegal Israeli policies, and outrageous violations against holy sites and property. Scores of residents, Israeli and international peace activists, in addition to a delegation of the Presbyterian Church, participated in the procession, before the soldiers assaulted them. The senior Christian figure was held for several hours in the Gush Etzion military and security base, before the soldiers eventually released him. Prior to his release, Archbishop Hanna was handed an order for interrogation by the Israeli security services. Breijiyya said the takeover of the church building is illegal under international law, and that the alleged sale of the church property is invalid, especially since International Law, and Church Law, states that churches and church property, must be handed back to the local church once it is out of commission. 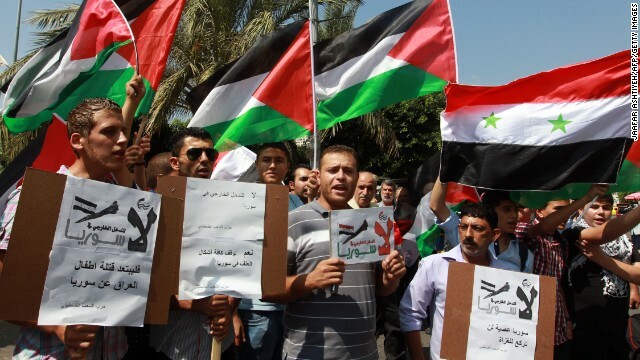 The soldiers completely surrounded the compound, and blockaded all nearby roads, eventually preventing the protestors from reaching the compound. A committee for defending Beit al-Baraka was formed to continue organizing public actions meant at foiling the illegal Israeli colonialist takeover. Pastor Danny Awad of the Presbyterian Church also delivered a speech explaining the role Beit al-Baraka played in helping patients through its free services to the public. Israeli peace activists of “Combatants For Peace” said that the illegal Israeli policies must be exposed and condemned by all religious groups around the world, and called for more public support to counter the escalating Israeli violations. The importance of the new settlement is that it paves the way for further settlement expansion, especially since there are more than 500 Dunams (around 125 acres) of Palestinian lands illegally confiscated by Israel in 2005, used to expand kibbutz Magdalen Oz. 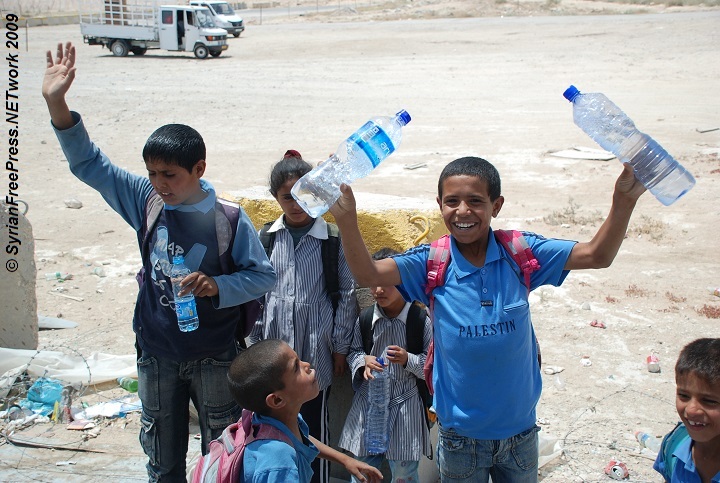 Israel is also planning to build a settlers’ road bypassing the al-‘Arroub refugee camp.